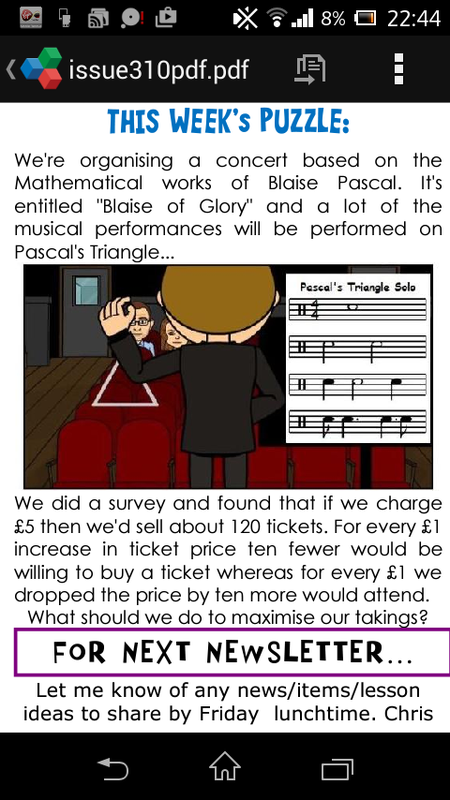 In the Pascal concert puzzle, I wish the data were 116 people would attend at a price of £5. Math Teachers at Play #83 via CavMaths | Let's Play Math! Education Bloggers: Share Your Post! | Let's Play Math! The Code Book – A Book Review All parabolas are symmetrical, right?